In thinking of a royal wedding related movie, there were several obvious options including the famous Fred Astaire classic, Royal Wedding. But not one to ever gravitate toward the obvious, I decided to go with another classic – one that I felt that was even more appropriate on this auspicious occasion. 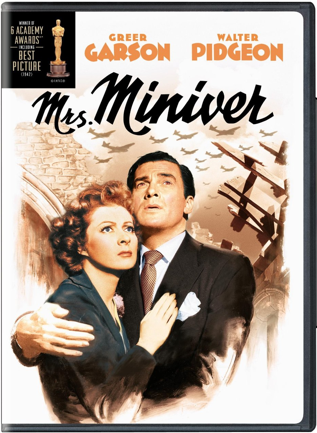 Mrs. Miniver is an inspiring war time drama that represents the true spirit of Great Britain and its people. Let us remember them also today as we celebrate the pomp and circumstance surrounding the royal couple. As has been said, this movie didn’t win six Academy awards for nothing. William Wyler’s sensitive direction, Greer Garson’s compassionate yet understated performance and wonderful contributions from Walter Pigeon and Teresa Wright all made this film the obvious choice for Best Picture in 1942. 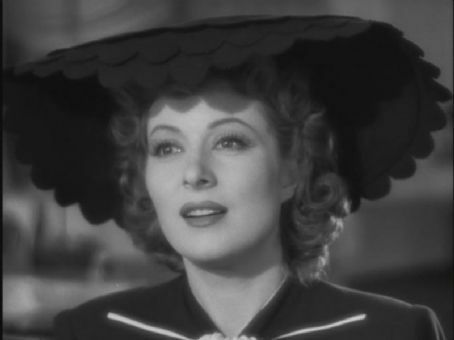 Greer Garson is one of my favorite actresses and she was never lovelier than in this movie. As Mrs. Miniver, she glows with inner strength and beauty. Even the local porter names a rose after her. It is heart wrenching to watch this charming English village undergo the terror and destruction it had to endure. Was this propaganda for the war? Of course! 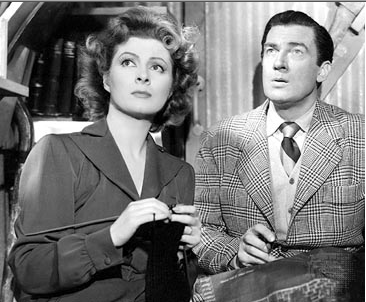 If fact, some say that Mrs. Miniver was so effective that it influenced the American decision to join the war. But it was also a beautifully rendered portrayal of the pre-war British way of life – a life filled with kindness, gentility and bucolic splendor. But yet again, have the tissues ready – what’s a classic without a few tears!! Here’s the trailer. Let us salute William, Kate and their realm!! This entry posted in entertainment, Uncategorized. Entry Tags: Greer Garson, Mrs. Miniver, Royal Wedding, Teresa Wright, Walter Pigeon Bookmark the permalink. I’ve never seen this movie all the way through…I have to now! Thanks for reminding me about it. What a choice, Q! So you to not go with the obvious. Greer Garson was so incredibly beautiful, wasn’t she? Thank you and yes – most definitely a resemblance to Dr. Pat!!! Did you know that she ended up marrying the actor who played her son??!! Wonderful choice! Thanks for another contribution to my Netflix queue. What did you think of the wedding?! I thought her dress couldn’t have been more perfect. Totally agree – loved the dress – loved the whole event!! Havent seen it but it couldn’t be a more appropriate recommendation…..will add it to my netflix queue. Enjoyed watching the big event today off and on….exciting event for the world to see….all the pomp and circumstance. Enjoy the weekend! Another great recommendation to add to my movie list. I have never seen this one, and I am certainly in the mood to watch something about England! Will try to find it! Loved the wedding. Yes, I was up at 3 am. I watched Easter Parade Sunday and watched the dancing. I could watch it every day. I am getting on the internet to find the movie now. Have a great weekend, q. A wonderful choice–an all time favorite! Good choice – but I did stick with Fred Astaire in Royal Wedding as it was showing on TCM channel! I’ve never seen the movie and am making a list of movies to find and take to the lake this summer. I’ll add this to the list. thanks! no movies like this today…Happy Sunday! What a brilliant suggestion, as always, you pick another winner. I am mortified to admit I haven’t seen it, but just logged off the local library’s site where I put in a request for it. I want to thank you publicly for your very kind tweets about the wedding blog post, I was beyond flattered! 82 queries in 0.449 seconds.